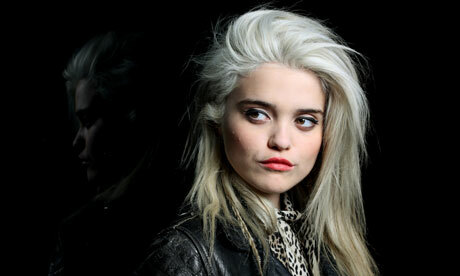 Seems like its been 24 hours of nonstop Sky Ferreira. The indie hipstress began her whirlwind day by performing on Late Night With David Letterman, and then sharing with the world her video for the title track from her recently released debut album “Night Time, My Time.” I’ve given the debut album a few spins… and I must say it’s surprisingly decent. Later in the day the busy beaver released the B-Sides // Part 1 Collection which includes 3 non-album tracks. The day concluded with Ms. Ferreira announcing that she will not, I repeat will not, be appearing at the 2014 Coachella Festival. Instead, she will accept a supporting role on the Miley Cyrus upcoming arena tour.